ROL recently published a post on their website about a cruise survey they had been working on. 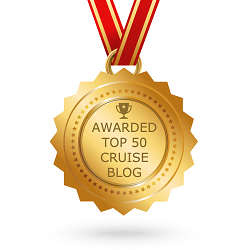 They asked over 500 cruise enthusiasts 9 cruise related questions and the results are very interesting. Usually, I’m not a big fan of surveys, but I really did enjoy reading this post and seeing what is hot and what is clearly not. ROL did ask me for my comment on several of the findings, but I’m going to go over each question and share my views and what I would have chosen. The Caribbean came out top for this and as I mentioned in my quote, I’m not surprised. I adore the Caribbean, but I was shocked to see that the Indian Ocean came in last. I’ve never been, but it looks incredible. I suppose it really is each to their own. Who would you rather cruise with? With family and with a partner both ranked top for the results from this survey. As I don’t have children and am single, I’d go with the friend or solo option. I always enjoy cruising solo, because you meet so many fun and interesting people. Sometimes though, some trips are better with friends and it is always nice to have someone to share experiences with. On port days do you prefer excursions, exploring on your own, or staying on board? Of course, excursions came out on top but only very slightly. 50.4% of people prefer to take an organised excursion, but surprisingly 46.61% of people prefer to explore independently. Personally, I enjoy a bit of both. If it’s a long tour, I’ll often book something through the cruise line. If the ship is in the same port for longer than 1 day, I’ll likely book something with a local guide that leads on into the evening. I always want to get the most out of every place that I visit. How far would you be willing to travel for a cruise? 38.05% of people said any port around the world, which did surprise me, however, 37.25% of people said they would prefer any UK port. They are my kind of people. I don’t like to fly, so I tend to sail ex-UK cruises only. If I can get to a port in another country without flying there then I will make the effort. I’ve sailed several times from Amsterdam because I can get the ferry to Ijmuiden from where I live. If you were planning on booking a cruise, which of these would be most important to you? 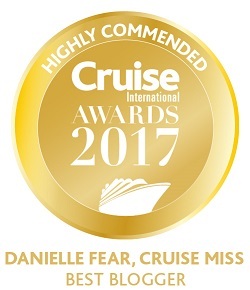 The choices were: price, itinerary, reputation of the cruise line, ship amenities, possibility of controlling spending, departure port, profile of cruisers and the amount of time in port. The price came out on top at 37.47%. I’m not surprised by this, we all want to find the holiday bargains. I also wasn’t surprised that itinerary choice came out second. I tend to spend more time these days looking at itineraries than I do the cruise line or ship, with a small exception, but I was hugely surprised to see that for just 1.2% of people, the actual time spent in port was a factor in their cruise booking. The more time you have in port, the more time you have to explore, so if itinerary is a big part of your decision, I think the time you get to spend in those destinations should also factor in, big time. Which of these statements best describes the goal of your next holiday? If I had been asked this, I would be completely greedy because where possible, I want to try and get all 3 from each cruise experience. There are places I have visited that I simply cannot wait to visit again, destinations I am desperate to go and see for myself, and there are always wild card ports that we’ve never heard of that sometimes turn out to be the most exciting. What type of cruise appeals to you the most? The choices were: ocean cruise, world cruise, river cruise, expedition cruise and mini-cruise. 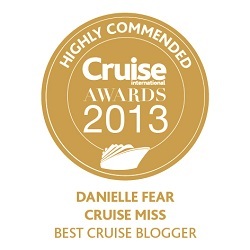 My two favourites came out on top, ocean cruise followed closely by the world cruise. For me, any cruise is good so long as I am on a ship. Having recently completed a world cruise with Fred. Olsen Cruise Lines, I can say from first-hand experience that if you have the opportunity to embark on one, don’t even give it a second though, pack your bags and go. It’s one of the best things I’ve ever been fortunate enough to do from beginning to end and I have memories that will last me a lifetime. Have you found love on a cruise holiday? This is the sweetest question of all, but 75.1% of those asked said no. Which I can understand, but I’ve been on several sailings where I’ve seen love blossom between passengers. I’ve also met many people that have met their other half on an earlier cruise. Have you ever gained weight on a cruise holiday? I don’t think I need to give you the statistics for the top answer to this one, but 16.73% of people said they had lost weight. I know, some will find that totally absurd, but I tend to lose weight when I cruise. I eat far better on a ship than I do at home, so it really isn’t difficult for me to lose weight when I cruise. I also tend to not overindulge on the sweet treats, although I do slip up occasionally. I also find now if I am visiting destinations that are incredibly hot and humid, my appetite is massively subdued, and I’d rather have something cool, quick and light, such as tuna with a little past. So, that’s my input on every question, but I’d love to know what your answers would be to some of these questions? Don’t forget, you can comment below and if you’d like to see the entire survey in full, visit the ROL website. 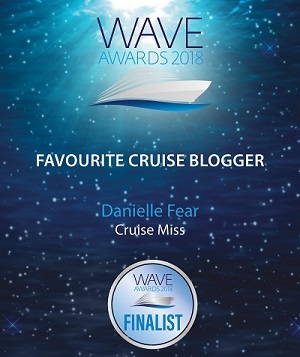 There is still time to vote for me in the Wave Awards 2019 as ‘Favourite Cruise Blogger’. It takes a few minutes to click the box and you could win some amazing prizes!